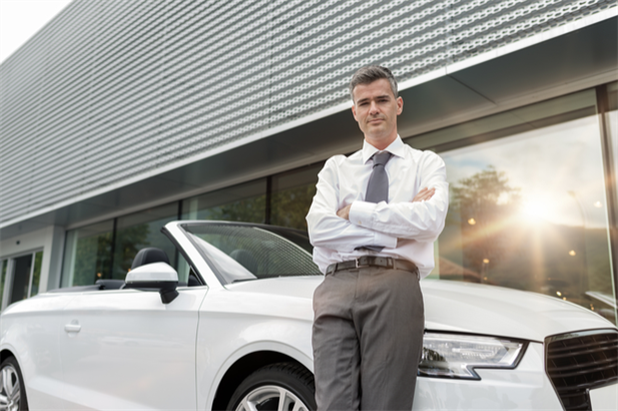 Take your car dealership career to the next level with this advice for automotive resumes. Writing an automotive general manager or general sales manager resume is all about results. That’s the case with many industries, but automotive sales is an extremely numbers-driven field. Car dealership careers are measured so closely by revenue, sales volume, gross profit, customer service index (CSI) scores, and other key performance indicators that standing out from the crowd requires a resume that displays a consistent track record of success in many different areas. Review the following tips for writing automotive resumes along with our general manager resume sample and you’ll be able to highlight your wide-ranging contributions to dealership growth and profitability in an eye-catching and interview-winning document. Every automotive resume must include a job title at the top of the document followed by an effective summary paragraph and a list of core competencies. Your summary should be 3–5 sentences long and must present the case for why you are the best choice for the open general manager/general sales manager position. Alongside the summary, your list of core competencies will provide further insight into your qualifications. Both sections help your resume make it past the initial scan performed by the applicant tracking system (ATS) while also satisfying the human reviewer. As mentioned above, your experience and achievements are the most important part of your automotive general manager or general sales manager resume. This section must present your professional background in an easy-to-read manner while highlighting the success you’ve had throughout your car dealership career. The way you organize your professional history and accomplishments will depend upon the formatting strategy you choose for your resume. There are three distinct formats, but the most common is the chronological approach, so that is the general manager resume sample we’ll share at the end of the article. With this strategy, start by listing the company name and location along with your job title and dates of employment. Next, draft a short paragraph explaining your day-to-day responsibilities and duties. Finally, include a bulleted list of achievements. For the other two formatting styles—the functional and the hybrid—a key component is the career highlights section. This presentation approach includes a bulleted list of your “greatest hits” and is a clever way to tout achievements from earlier in your car dealership career. Not all automotive resumes will benefit from using this strategy, but if you have gaps in your work history, numerous short-term roles, or high-profile achievements from more than 10 years ago, this approach may help you. Automotive sales is one of the few fields where it is still common to see a professional in a senior leadership role without a college degree. However, that is not to say that education is irrelevant for car dealership careers. On the contrary, your business acumen and product knowledge will play a huge role in your success as a general manager/general sales manager and must be displayed on the resume. When presenting your training and certifications, be sure to include the training/certifying organization, and feel free to also add the year if you recently completed the course. As general manager or general sales manager of an automotive dealership, you may be expected to represent your employer in the local community. Create a section toward the end of your resume to highlight any volunteer work you’ve done, your membership in any professional organizations, or your involvement with automotive industry associations. Make sure to highlight any leadership positions you’ve held with these groups as well as any special projects or initiatives you’ve contributed to. Interested in learning more about resume writing? Read up on each of the specific sections that make up a modern resume (the title and summary, core competencies, professional experience, and supplemental sections), and review the basic “rules” of resume writing. You can also check out some common mistakes and blunders to avoid or explore professional resume writing services from iHireAutomotiveProfessionals. Here’s a complete view of the automotive general manager resume sample referenced throughout the article, which was created by the iHire team.